When should your car get its first MOT test? In January 2017, the Government launched a consultation on the possibility of pushing the timing of the first MOT test for cars back from three to four years old. The proposal would either apply only to cars or to both cars and small vans. A number of reasons for making the change were stated, including the fact that cars have become much more reliable than they were in 1960 when the MOT test was first introduced. A tantalising predicted cost saving of more than £100 million a year for consumers, offset by a likely increase in road traffic accident injuries, were also included in the consultation. So, should we wait four years before testing the basic safety features of our cars, and possibly vans too? To answer this question, we’ve spoken to road safety charities, car industry insiders and a breakdown service provider. We’ve also examined the latest road safety evidence, cited by the Department for Transport (DfT) for making the change, as well as its previous research, which contradicts the new research, finding that “a significant number of additional road traffic accidents would be likely with reduced testing”. The Ministry of Transport or MOT test has helped to improve road safety – in 1960 nearly 7000 died on British roads each year, today that figure has gone down to 1700. We have one of the lowest road accident death rates in Europe, despite the fact that there are now 35 million cars on our roads, compared with less than 10 million in 1960. Today, the UK has more than 22,700 MOT test centres and about 50,000 MOT testers, who carry out more than 29 million MOT tests a year, more than 2.5 million of them being first tests on cars aged three. 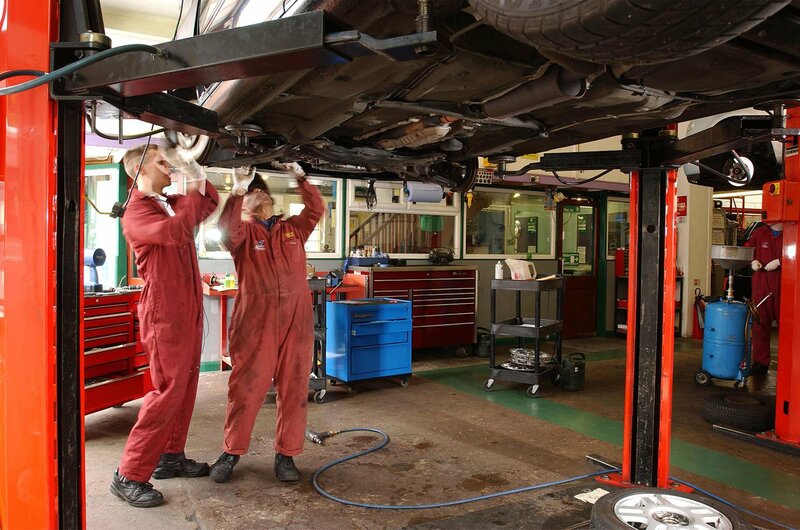 The idea of having a first MOT test at four years instead of three stems from the fact that the EU’s minimum requirement for the frequency of MOT tests is a first test at four years of age with subsequent tests every two years. In the latest consultation, Andrew Jones MP, Parliamentary Under Secretary of State for Transport, promotes the case for first testing at four. “Many other European countries, including France, Ireland, Italy and Spain, as well as Denmark and Norway, which are among a group of countries alongside the UK with very good road safety records, have the first test at four years,” he said. Not all countries that do the first test at four have a great safety record, though. While Norway and Denmark have very few accidents, France and Italy don’t do so well; there are more than 50 deaths per million people in these countries, compared with less than 30 per million people in the UK. Will pushing back the first MOT test save money? 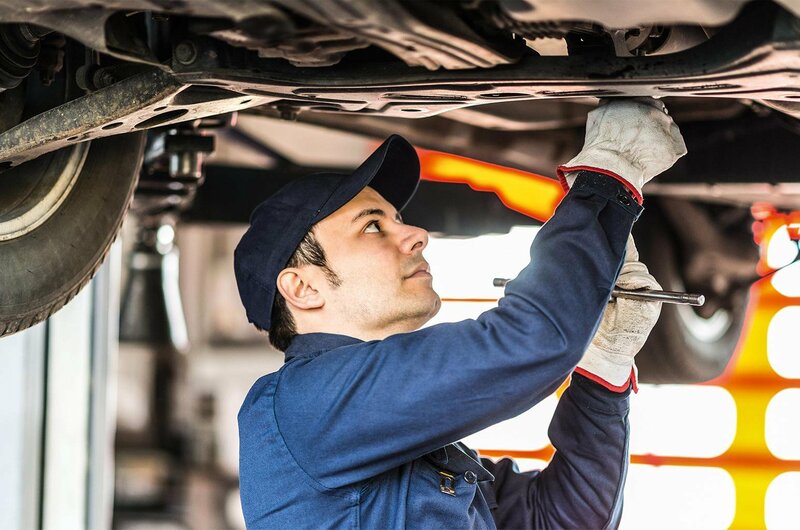 Using an average MOT test price of £45, the Government predicts a saving of £109 million if the MOT is pushed back by a year for all cars and small vans, or a cost saving of £100 million if the change is applied to cars only. However, about 60% of the 2.5 million new cars registered each year are bought as company cars. With companies increasingly keeping cars on their fleets for more than three years, this means large companies will make the most savings. 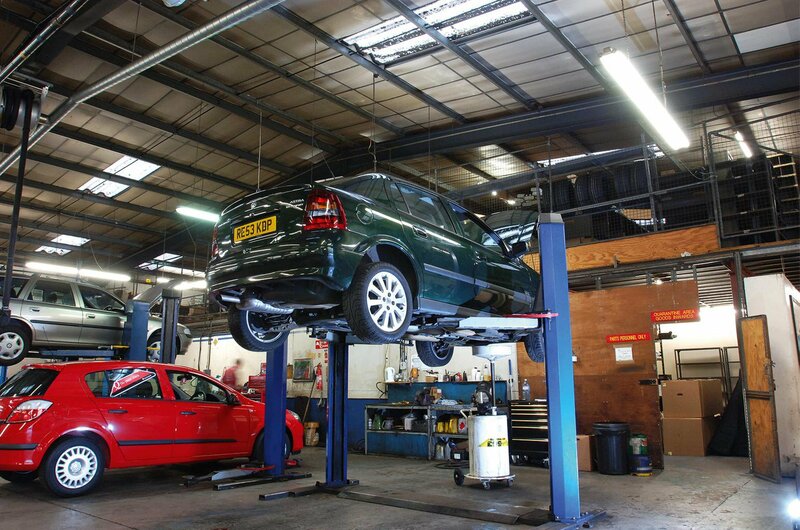 The fact that the MOT testing industry is made up predominantly of small independent garages, which stand to lose 7-8% of their business if the change is implemented, compounds the argument that the proposal would be of more benefit to large corporations, at the expense of small firms. However, the most important consideration remains safety. 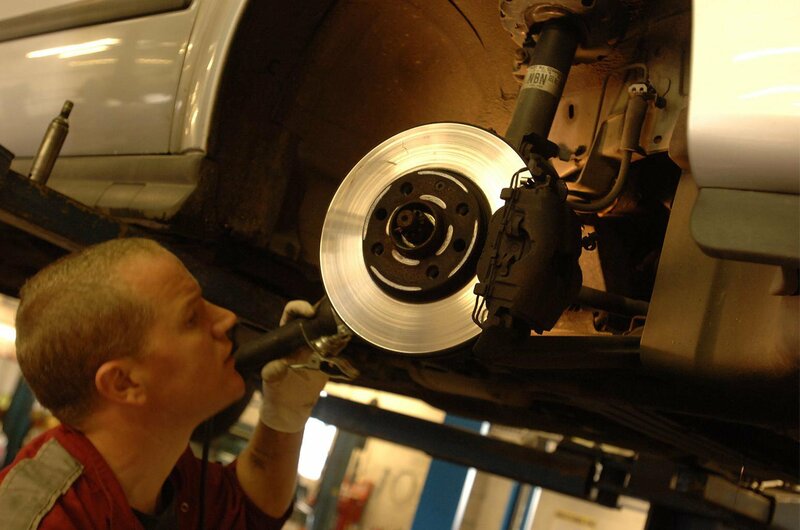 While the MOT test isn’t a guarantee that a car will be safe to drive for the next 12 months, it provides a valuable snapshot of four highly significant safety systems: brakes, steering, suspension and tyres. If any of these areas aren’t up to the prescribed standard, the car will fail the MOT test and can’t legally be driven on the road until the faults are rectified. Of the three-year-old cars and small vans that took their first test in 2015, 17% failed. This figure rose to 19% for four-year-old vehicles. While the most common reason for failure was lights and signalling, affecting nearly one in five cars (18.9%), the three next most common failure areas have potentially more serious consequences: suspension problems caused 13% of failures, brakes 10% and tyres 8%. How would the change affect accident rates? Transport research consultancy TRL’s 2011 report, the main research cited by the consultation, predicts that extending the three-year inspection for cars and vans to four years would result in a possible increase of 1.9 to 3.5 deaths and 21 to 39 serious injuries per year. For example, if a car’s steering or suspension is faulty, this could make the tyres wear unevenly and become dangerous. “So the number of faults, and the potential for cars to be less safe, is greatly increased by leaving another year until the first MOT,” adds Punter, who believes a figure of up to 38 additional deaths per year on our roads is actually a far more realistic prediction than that stated in the 2011 report. Just because a car’s brake pads work well enough to pass the MOT test, it doesn’t mean they’ll be fine for another year. So, testers write advisory notes on their reports to let owners know if a car will need safety-related items such as new brake pads or tyres in the near future. Although cars are more reliable than they were in the 1960s, their vehicle systems and components won’t necessarily last longer. In fact, according to the DfT’s 2008 report, they could wear out quicker. Who is in favour of the proposed changes? The fact that the latest consultation predicts an increase in deaths and serious injuries on our road, however small that increase might be, goes against the principle of continually aiming to improve road safety, so it’s no surprise that road safety campaigners are against the proposed changes to the current MOT testing rules. However, the RAC has a slightly different point of view, having studied the effect of changing from three to four years in Northern Ireland and concluding that there could be a small increase in the number of faults being found following the switch. RAC public affairs manager Nick Lyes says: “We believe that for the majority of vehicles it is reasonable to move the date of a first MOT test to four years. However, we have some concerns about the roadworthiness of high-mileage vehicles in their fourth year. Whichever set of statistics you look at, raising the age of the first MOT from three to four years is likely to cause a rise in deaths and injuries on our roads, and that simply doesn’t fit with the ambition for the UK to have the best possible record for road safety. We believe that the three-year MOT should stay in place to protect road users and keep our roads among the safest in the world.